I've been at a meeting at the Beau Rivage in Biloxi since Sunday, and one of their gift shops is carrying Ed Hardy stuff. (And online pictures don't do the colors and textures justice.) Every time I walk by I like it all even better, but it's a bit expensive - and I've been good so far. You don't have to be a fisherman to appreciate Shimano's new Evair Fishing Deck Boots. 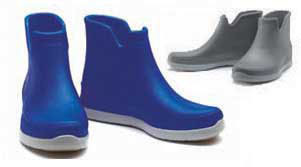 These 100% waterproof slip-ons are made of one-piece molded EVA foam (similar to Crocs) and are incredibly lightweight (less than 10 oz.). The soles are solid on wet,slippery surfaces and keep your feet cool - in case you actually do decide to fish in them, after all. 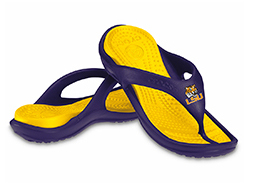 And I think I've found my Flip-flop of the Season. 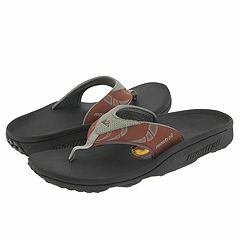 Montrail flip-flops give more cushion and arch support than regular flip-flops. And because they are constructed with heat-moldable foam, they mold (eventually) into the exact shape of your foot. 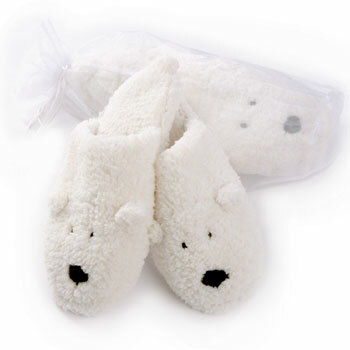 Give your feet some soothing relief with our Heated Herbal Polar Bear Slippers. These soft, plush slippers are microwaveable and rejuvenate your feet with warmth and fragrant herbs. The lavender scent soothes and relaxes you. Slippers have a durable rubber sole and come in a white organza bag. Sold as a pair of slippers. Available in different sizes. Wear your heart on your feet. 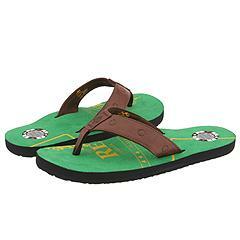 Felt playing surface flip-flops by Reef with poker table markings. Soft EVR poker chip in the heel. I believe I may be the only person who never owned a pair of the original Crocs. I despised them - at first sight. I never even tried a pair on. But they have evolved a bit lately. Last summer, I decided I had to have these pink and green ones last summer, which I could never find anywhere. My mom finally found me a pair - this February. And I've been wearing them. 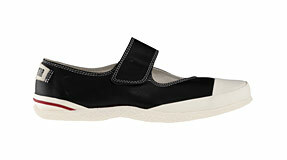 And they are pretty damn comfortable (and really, really cute to boot). They've added a few more nice offerings to the line too. These remind me of a stylish update on the old duck shoes - with cuter colors. And they even added flats this year. 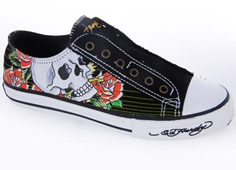 Special-edition Vans designed by Neckface, a skateboarder and graffiti artist. "The series is a tribute to the commonalities shared between skaters and artists." See others in the series here.